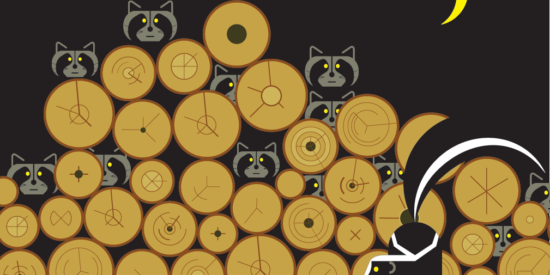 I love the graphic quality of Charley Harper’s work. This postcard was created using a tutorial from Spoon Graphics. 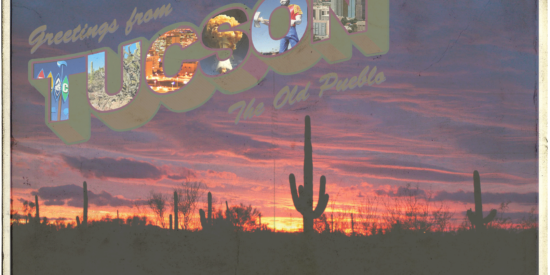 If you have even been in Tucson you may recognize a few things. Gradient Mesh…handy tool or trick of the devil? This mesh was created on top of an apple. See that white bit at the bottom? It refuses to leave, no matter what I do with my selection tool and the eyedropper. But Photoshop has its charms. Polka dots, patterns and brushes, oh my. I learned a great deal while creating this dinosaur.